Thanaka is the name of a slow-growing tree that thrives in the arid central parts of Myanmar. It is widely said that the tree must mature at least 35 years before becoming viable, but many newer thanaka "farms" are able to put product on the market after just 3 to 7 years of growth. It is said that Burmese have been using thanaka this way for 2,000 years. How to Apply to Your Face? The eponymous paste is made from grinding the bark against a flat, wet stone and then applied to the face. Although part of the thanaka tree are used medicinally in other parts of Asia, it is only in Myanmar that it is used cosmetically. It's a good protection from the sun, lightens the skin, and even works against acne. In addition, it can be very cooling (as any liquid dying on your skin would be). Understandably, not a lot of research money has been poured into studying thanaka, but one 2010 Thai study found that "extracts from thanaka bark showered strong anti-inflammatory, significant antioxidation, mild tyrosinase inhibition and slight antibacterial activities." 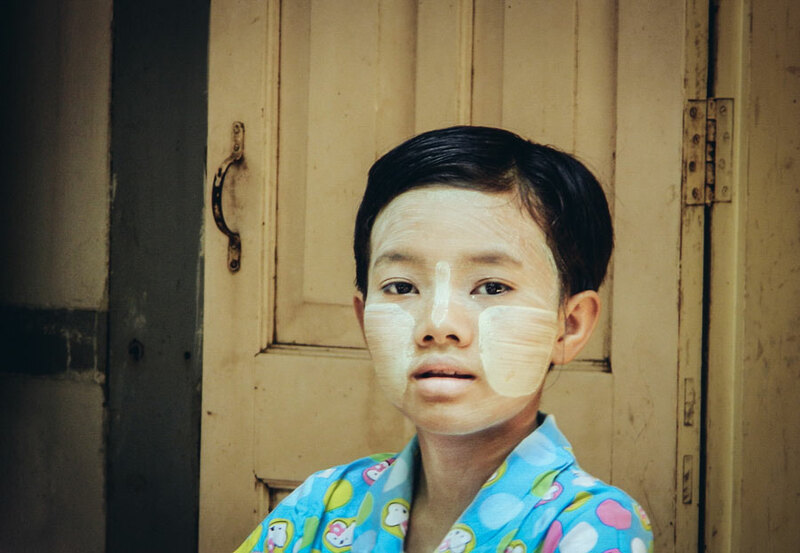 Every day you'll see most female and many boys and young men sporting thanaka patches on their faces, We used for sun protection during the day, thanaka is also applied at night after bathing in order to receive the other anti-inflammatory therapeutic benefits. Wanna try it yourself? Ask our lovely front desk. Or book a sunrise/sunset boat trip and try it out in a local village.